Marshward supply universal joints from Belden who for more than 40 years have been reputable manufacturers of standard and custom universal joints for all types of industry. A universal joint, or a coupling, is a mechanism that allows a rod to move in any direction or rotary motion. 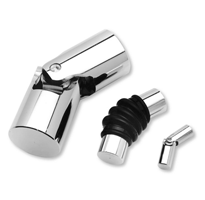 Its main component is a pair of hinges located close together and fixed at 90 degrees to each other via a cross shaft. They are used to transmit torque and motion between shafts with angular, parallel, and axial misalignment. Certain misalignments need more than one joint. 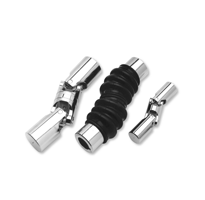 Universal joints are also used as a socket bearing, allowing the free movement of one while the other end is fixed. From their Chicago base for the past four decades Belden have become one of the world's most innovative manufacturer of universal joints used in the aerospace, agricultural, food processing, military, and textile industry. Their website says: The Belden universal joint has become recognized as the most precise and reliable universal joint on the worldwide market today. 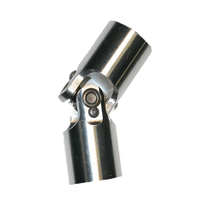 Single universal joints - Made from highgrade alloy steel with operating angles up to 35 degrees. Double universal joints - Provides accurate positioning and flexible action under difficult operating angles up to 70 degrees. 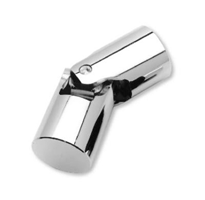 Stainless Steel Joints - Made from AISI 303 and AISI 416 stainless steel for extra protection and resistance to corrosion. Needle Bearing - Designed to accommodate the mechanical linkage requirements of many industries, this offers low backlash, a higher RPM, and higher angles than single/double universal joints. View each of the above by clicking below where you can find more information about the universal joints supplied by Marshward and made by Belden.